Manchester United manager Jose Mourinho escalated his war of words with Chelsea boss Antonio Conte, bringing up the Italian's 2012 ban for match fixing. The two managers have been engaged in a spat over the past two days, with Conte saying Mourinho has a tendency to act like a “clown on the touchline”. Conte's barb was in response to Mourinho saying some Premier League coaches behave “like a crazy guy” during matches – a comment apparently in reference to the Chelsea boss. The Italian then suggested Mourinho was suffering from senile dementia, mentioning the term in Italian in reference to the Man Utd boss. "I think he has to see himself in the past - maybe he was speaking about himself in the past," Conte said. "Maybe, sometimes, I think that someone forgets what's said in the past, which is his behaviour. "Sometimes I think there is, I don't know the name, but demenza senile... when you forget what you do in the past." After Manchester United's 2-0 win over Derby County in the FA Cup on Friday, Mourinho took the feud to a new level. "The only thing I want to say to end the story is that yes, I made mistakes in the past on the touchline," Mourinho said. "Yes, I will make less, but I think I will still make a few. What never happened to me and will never happen is to be suspended for match-fixing. "That never happened to me and will never happen." 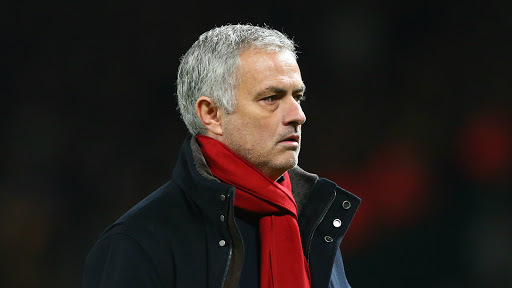 Mourinho's comment was in reference to a four-month ban Conte served in the 2012-13 season while he was manager of Juventus for failing to report match-fixing while he was in charge of Siena. Conte was accused of doing nothing to prevent a 2011 match-fixing scandal at Siena – a charge of which he was ultimately acquitted.